“I’m telling you the truth, I’m not saying this just to make you happy,” Dawud, a father of three and husband to his wife Misku, told us in their family home. 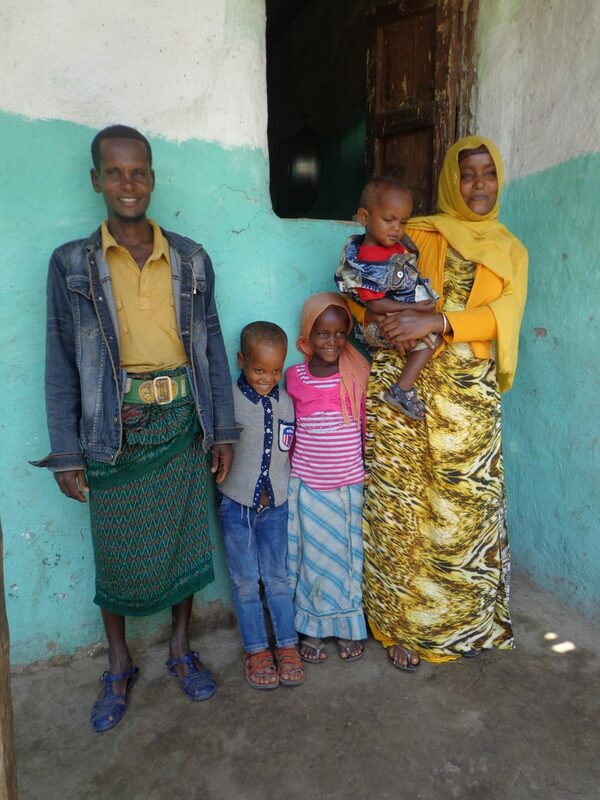 Misku and Dawud stand with their children Saudat, Huziefa, and Siham outside their family home, October 2016. 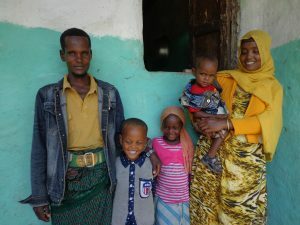 One look at this young, healthy and happy family living in Ethiopia and you could tell that it was true. They carried with them a quiet pride of their well-kept yard, their goats and chickens grazing through, their home well-prepared against wind and rain, and their children – in school, well-fed, and curious about their visitors. But they admitted that their life wasn’t always this way. And that it took learning about gender equality from Canadian Feed The Children’s MILEAR project staff for it to change. Then they became involved with the MILEAR project – which helped give them access to water through irrigation and taught them improved farming practices – and also helped them break down cultural stigma attached to helping each other in traditional “men’s” or “women’s” work. 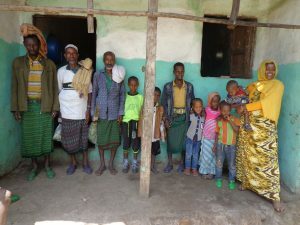 That meant Dawud started taking on work at home like bringing in firewood, cleaning, fetching water and taking care of the children to give Misku the time she needed to take a lead in farming. What Misku and Dawud have learned is that gender equality significantly impacts household financial security – and that is why unlocking women’s potential is essential in achieving the Sustainable Development Goals. Misku and Dawud’s family meeting with local neighbours. Now, by growing mango, teff, onion, mungbean, and sorghum together they have increased their productivity and income – and with a CFTC-funded irrigation system nearby, their yields were not drastically affected by the recent drought. Unifor Social Justice Fund is the largest private funder of Market-led Improved Livelihoods in Eastern Amhara Region (MILEAR), a $7.44-million project funded generously by Global Affairs Canada.